He's provided an entirely new conclusion, taking us inside the alien spaceship that visits at the end of the film. He's provided more motivation for the strange behavior of the Richard Dreyfuss character who is compelled by "psychic implanting" to visit the Wyoming mountain where the spaceship plans to land. He's added additional manifestations of UFO intervention in earthly affairs -- including an ocean-going freighter deposited in the middle of the Gobi Desert. In addition to the sensational ending, he's added more special effects throughout the film. One shot seems like a lighthearted quote from Spielberg's own "Jaws." In that film, a high-angle shot showed the shadow of the giant shark passing under a boat. In this one, a high-angle shot shows the shadow of a giant UFO passing over a pickup truck. Spielberg's decision to revise the original version of "Close Encounters" is all but unprecedented. Some directors have remade their earlier films (Hitchcock did British and American versions of "The Man Who Knew Too Much"), and others have thought out loud about changes they'd like to make (Robert Altman wanted to edit a nine-hour version of "Nashville" for TV). And countless directors, of course, have given us sequels -- "part two" of their original hits. Spielberg's Special Edition is sort of a "Close Encounters: Part 1-1/2." It is also a very good film. I thought the original film was an astonishing achievement, capturing the feeling of awe and wonder we have when considering the likelihood of life beyond the Earth. I gave that first version a four-star rating. This new version gets another four stars: It is, quite simply, a better film -- so much better that it might inspire the uncharitable question, "Why didn't Spielberg make it this good the first time?" His changes fall into three categories. He has (1) thrown away scenes that didn't work, like the silly sequence in which Dreyfuss dug up half of his yard in an attempt to build a model of the mountain in his vision; (2) put in scenes he shot three years ago but did not use, such as the Gobi sequence and Dreyfuss flipping out over the strange compulsion that has overtaken him, and (3 )shot some entirely new scenes. The most spectacular of these is the new ending, which shows us what Dreyfuss sees when he enters the spacecraft. He sees a sort of extraterrestrial cathedral, a limitless interior space filled with columns of light, countless sources of brilliance, and the machinery of an unimaginable alien technology. (The new special effects were designed by the underground artist R. Cobb, I understand; no credit is given.) This new conclusion gives the movie the kind of overwhelming final emotional impact it needed; it adds another dimension to the already impressive ending of the first version. The movie gains impact in another way. Spielberg has tightened up the whole film. Dead ends and pointless scenes have been dropped. New scenes do a better job of establishing the characters -- not only of Dreyfuss, but also of Francois Truffaut, as the French scientist. The new editing moves the film along at a faster, more absorbing pace to the mind-stretching conclusion. 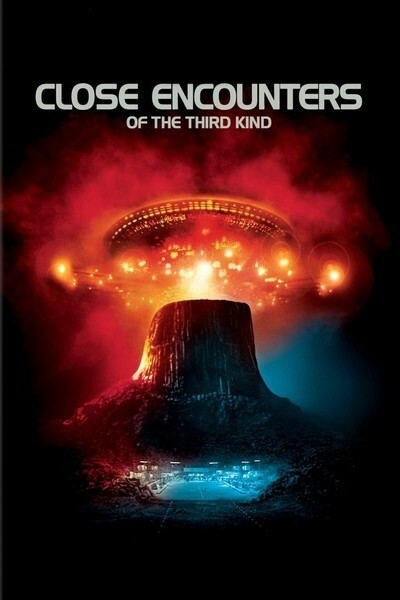 "Close Encounters," which was already a wonderful film, now transcends itself; it's one of the great moviegoing experiences. If you've seen it before, I'm afraid that now you'll have to see it again.